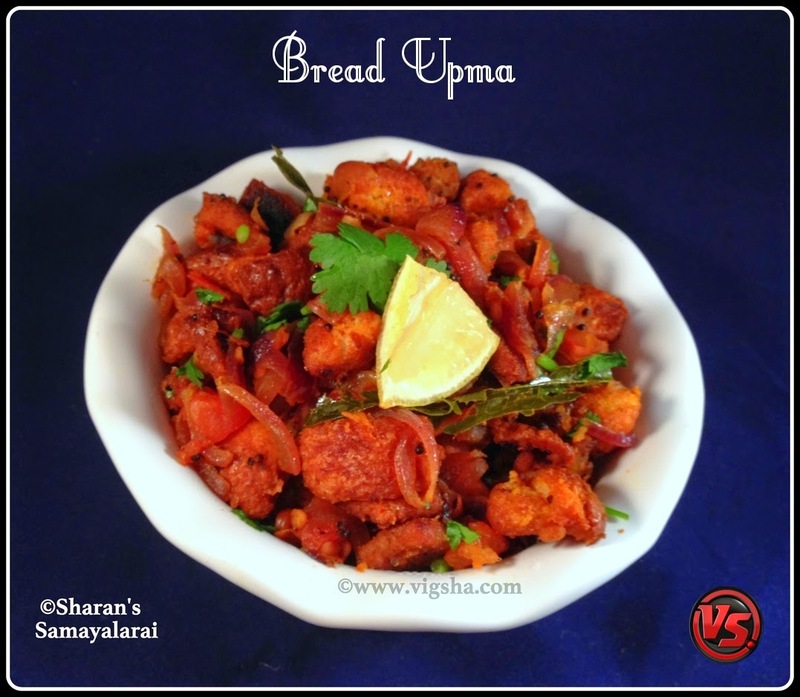 Bread Upma is simple yet comforting dish that looks appetizing and tastes super delicious. 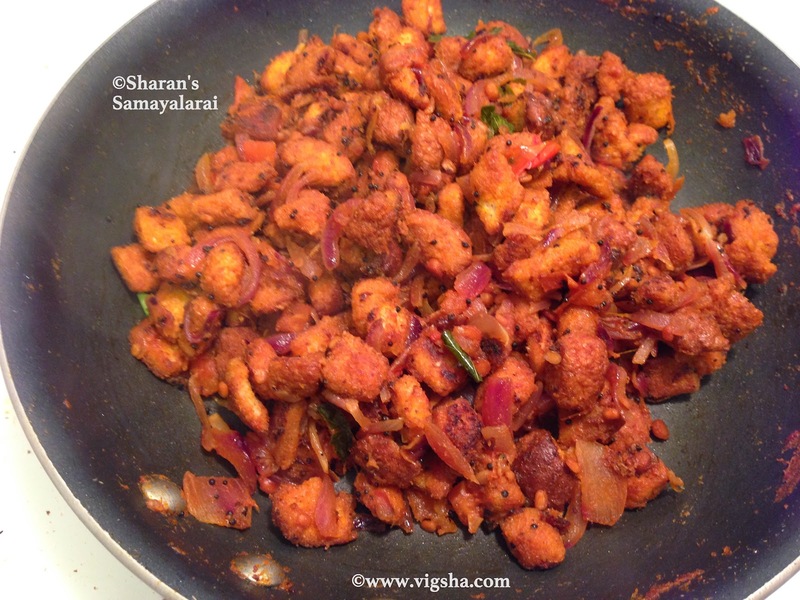 I usually prepare this when I am in a hurry or when I feel lazy to cook. 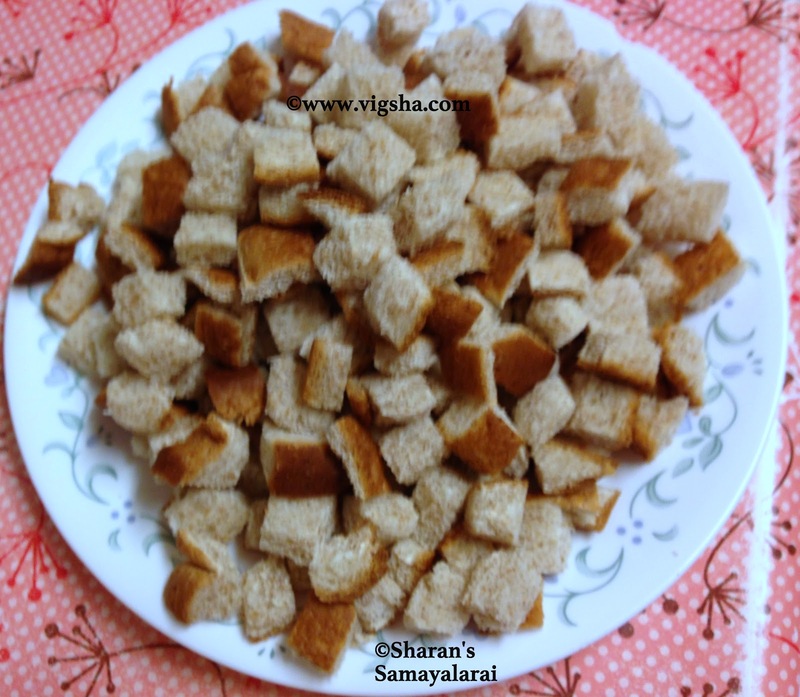 It is a great way to use leftover bread and make it a satisfying meal. 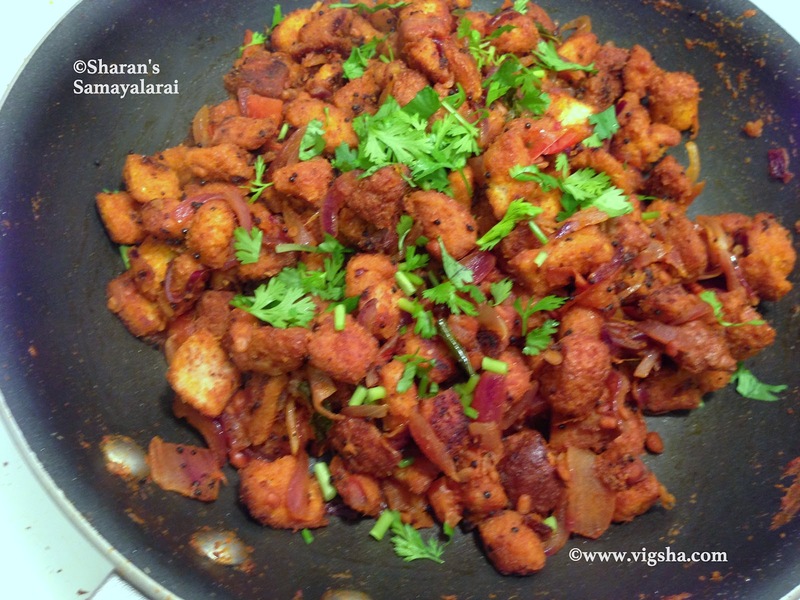 This recipe is from North-Indian cuisine and its totally different from the regular bread recipes. I am posting the basic version, check notes for other variations. 1). Cube the bread slices and keep it aside. 2). 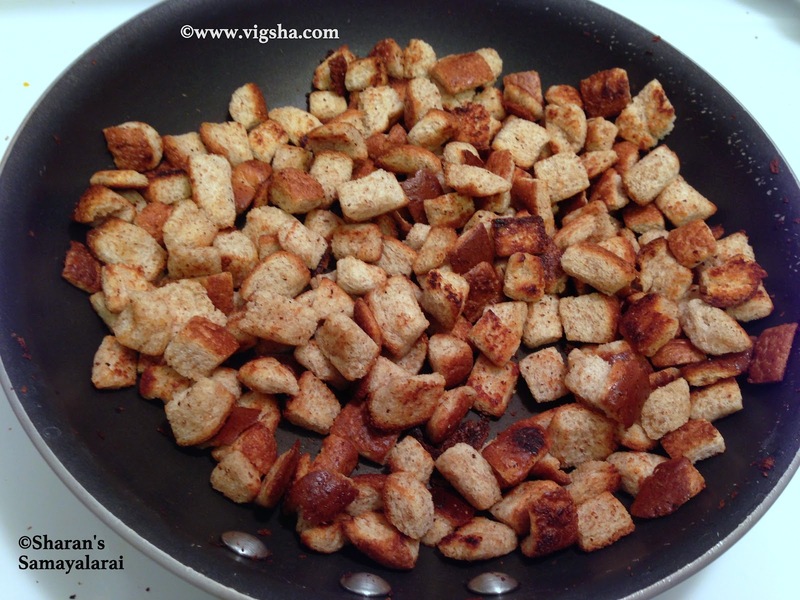 Toast the bread using toaster or on a pan. I am posting the pan method now, check notes for toaster method. Melt 2 tsp of butter and roast the bread until golden brown. Keep it aside. 3). Melt butter in a pan, add mustard and let it crackle. 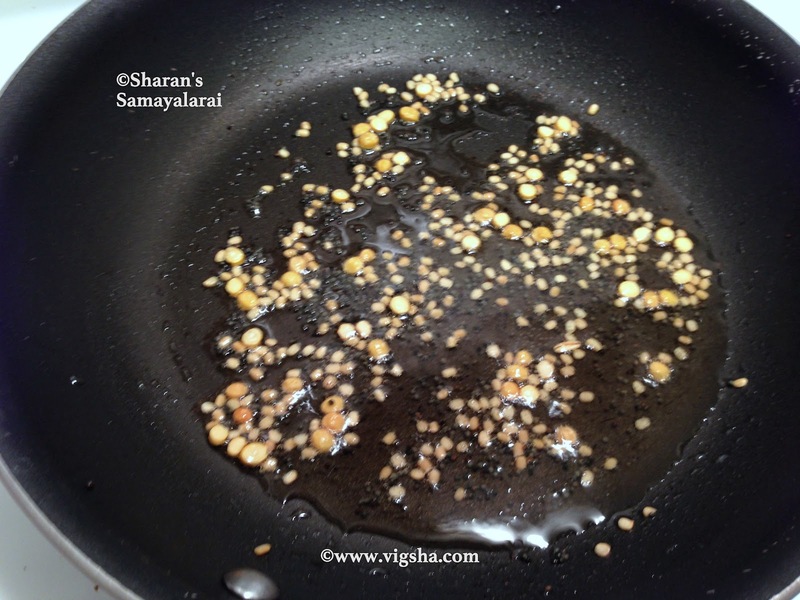 Add urad dal, channa dal and saute till they turn brown. 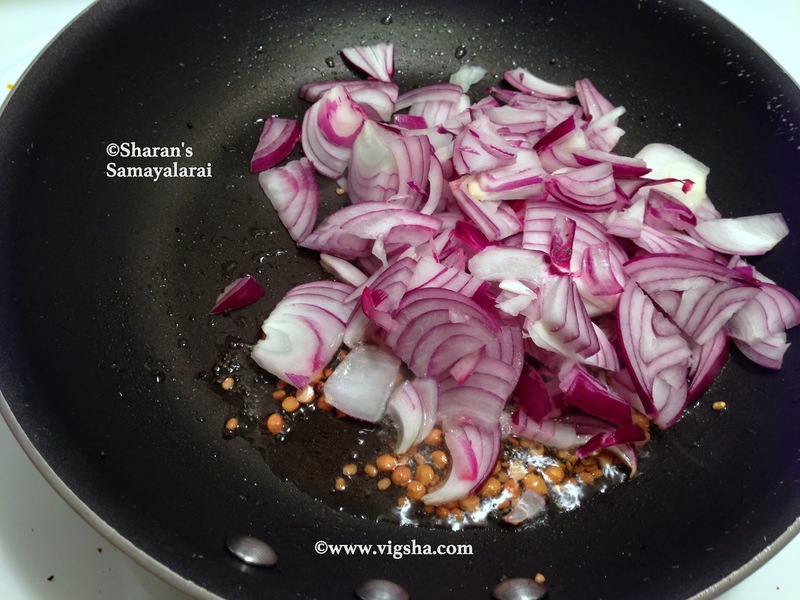 Then add onions, curry leaves, salt and saute till onions turn translucent. 4). 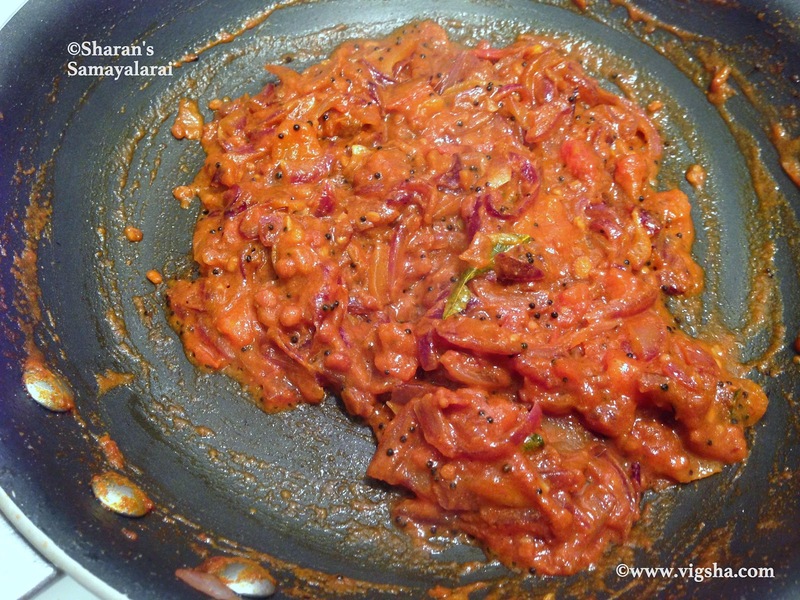 Add tomatoes and saute till they become mushy. 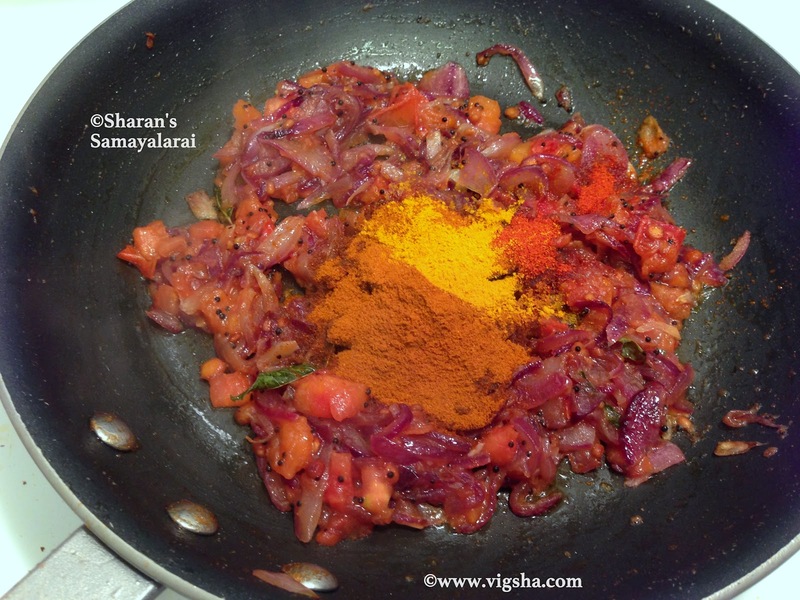 Then add turmeric powder and sambar powder. 5). 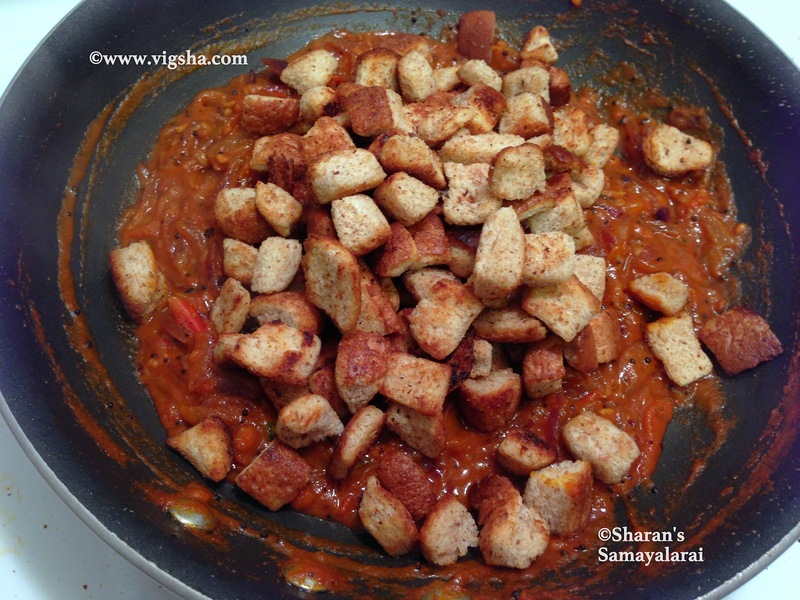 Add the toasted bread pieces and toss well to combine. 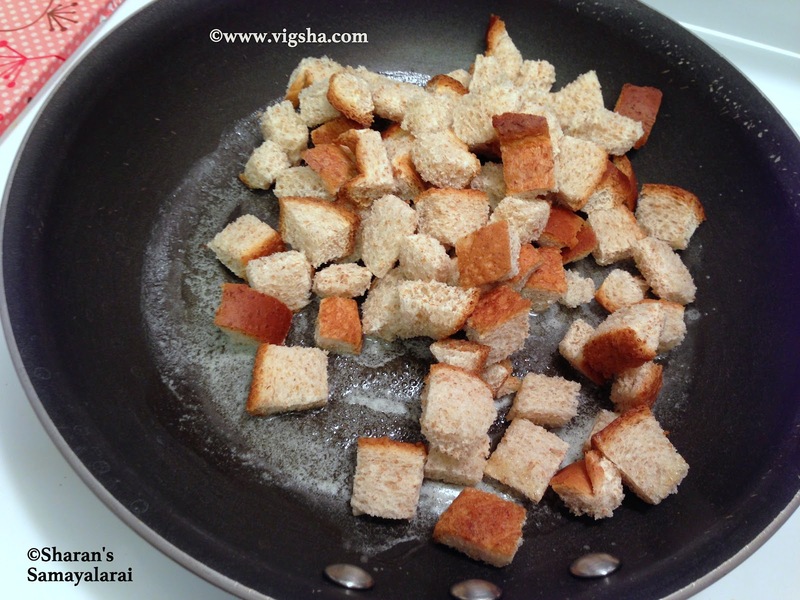 Make sure to coat the bread cubes with masala. Check for salt and spices, adjust accordingly. 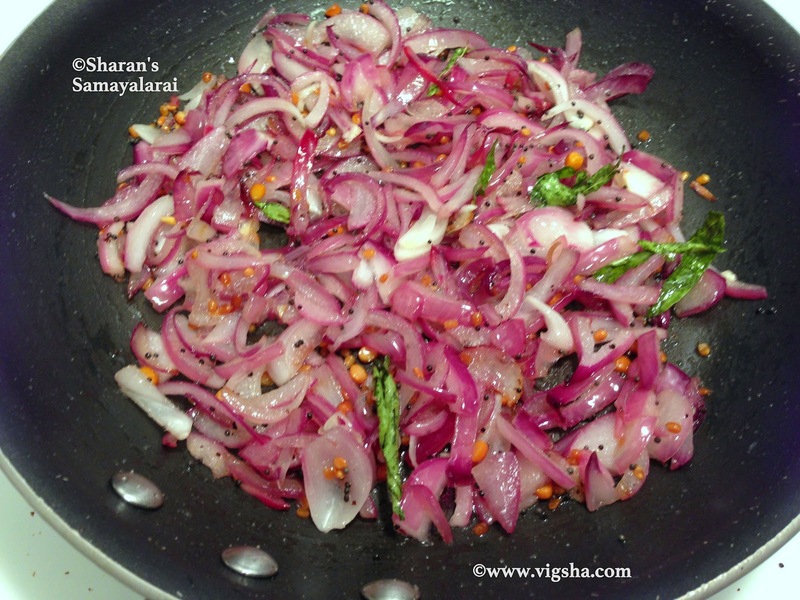 Switch off and finally garnish with chopped coriander leaves. 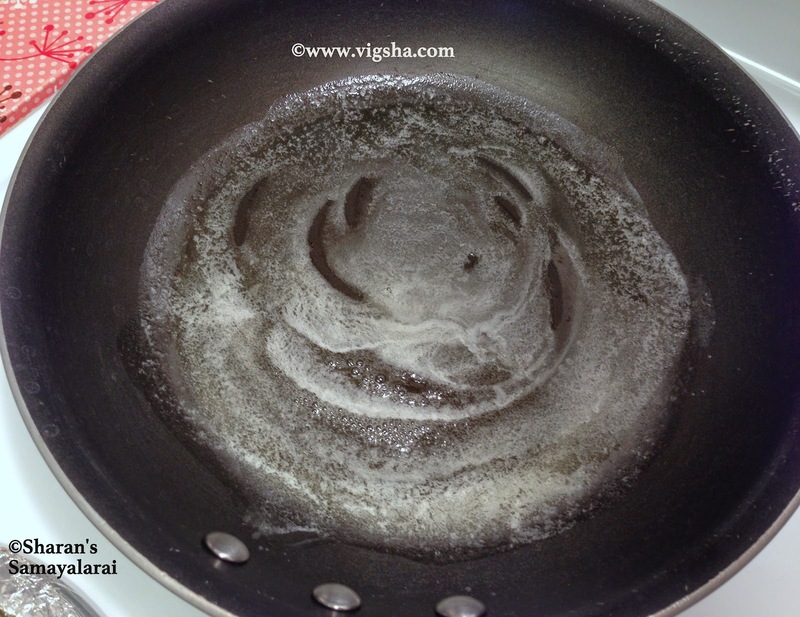 Drizzle lemon juice and serve hot as a tea time snack or as a tiffin variety. 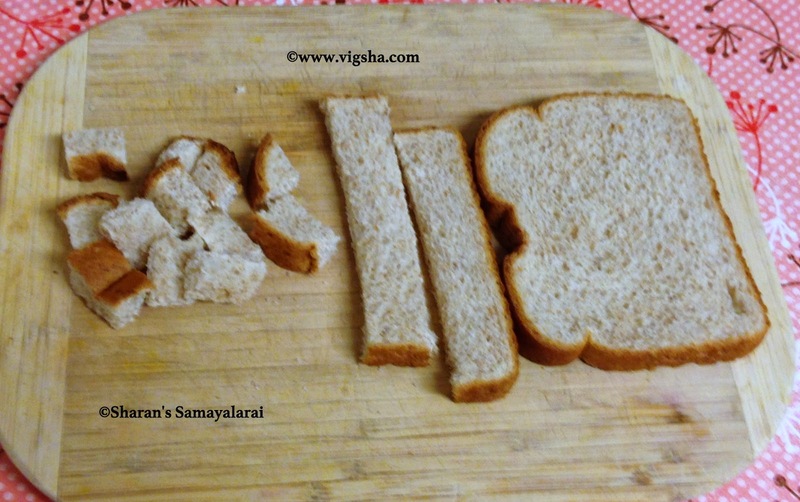 # Toaster Method - First toast the bread slices and apply butter. Then cube the slices and keep aside. 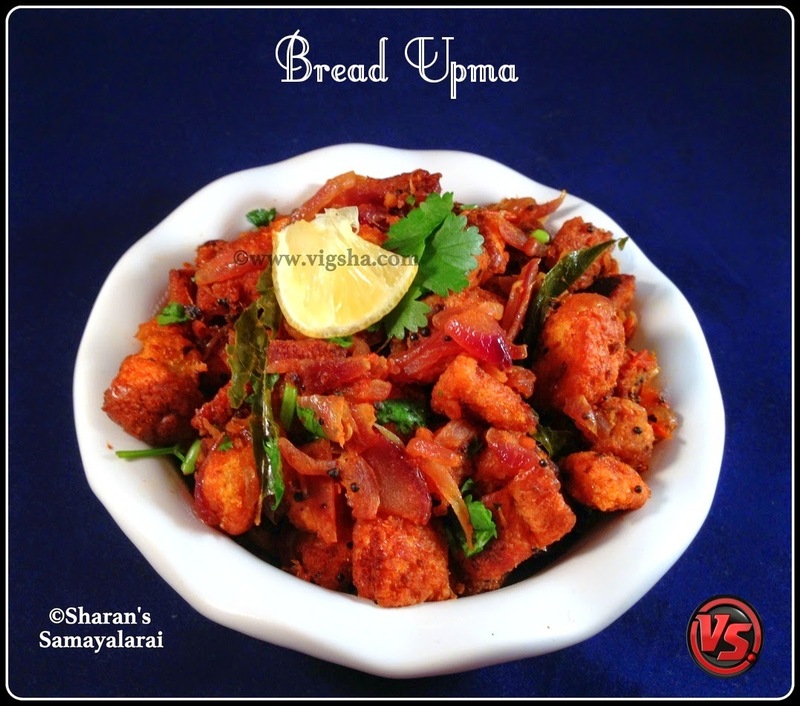 # I personally like to fry the bread slices in butter as it adds flavor to the upma. 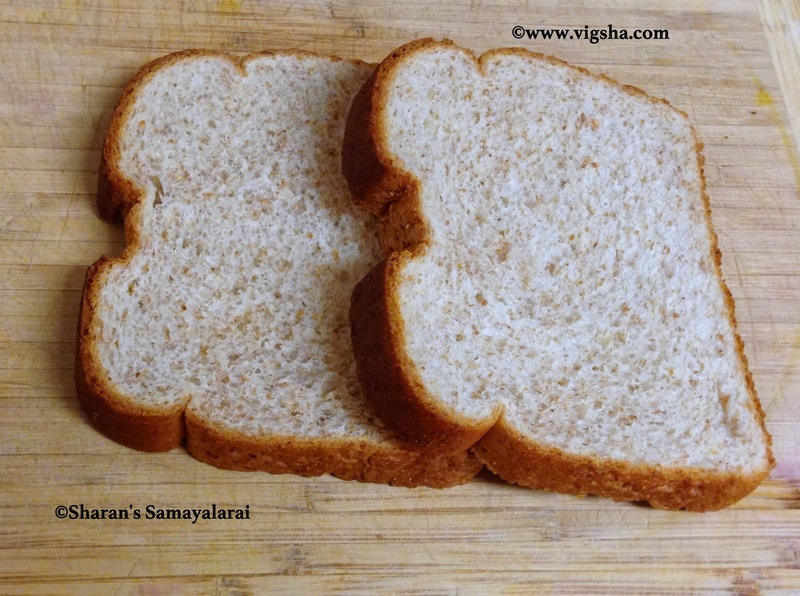 # You can use any bread variety like wheat or white or multigrain or brown bread. I have used wheat bread. # Removing the outer brown crust is optional. I have used the crust. 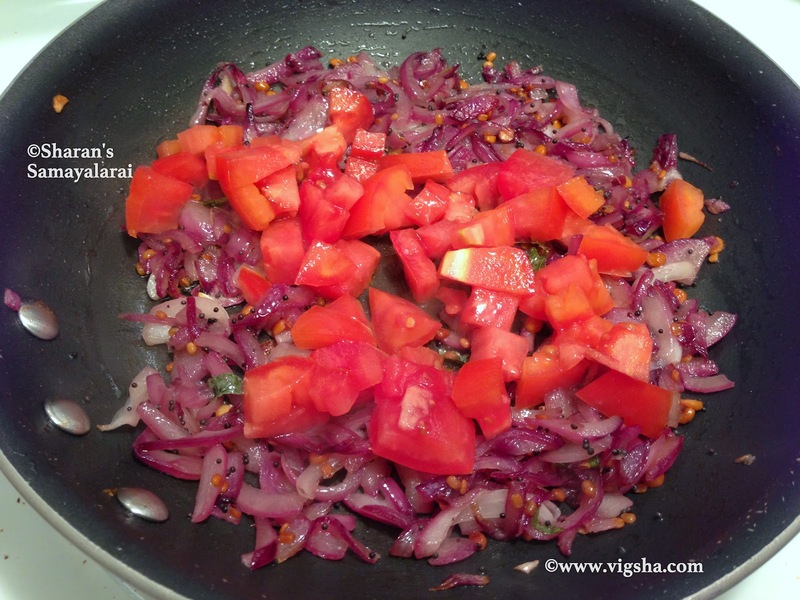 # You can use any veggies or eggs or nuts of your choice and make it wholesome. # Don't use fresh bread, instead use atleast a day old bread for best results.